Experience a 2.5 hour high-frequency musical infusion of the Music of the Orchid of Lemuria. This music was created by the energy signature of a flowering orchid plant that was translated into MIDI Instruments and musical notes. 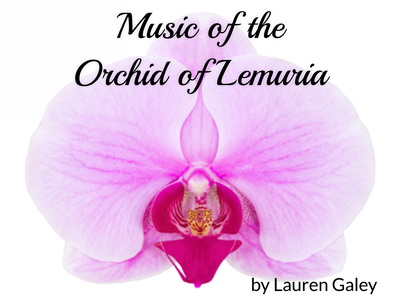 This is the actual music of the orchid, which is a reminder of the Love, Beauty and Grace of Lemuria. Enjoy this musical frequency infusion of the orchids. Great for meditation, background music while working/playing and getting creative! The most highly coveted of ornamental plants, the delicate, exotic and graceful orchid represents love, luxury, beauty and strength.